Why do all .Net apps show up as “.Net SqlClient Data Provider” in traces? 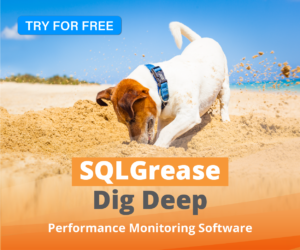 Have you ever been asked to get involved in diagnosing a problem for a .Net application only to find that your diagnostic tool of choice shows “.Net SqlClient Data Provider” for all applications running on the database? I’ve encountered this frequently and it makes filtering out activity to the application of interest difficult. Fortunately there is a very simple fix for this. You can have your developers make a small innocuous change to their application which will display a more appropriate application name. By specifying the “Application Name” property in an ADO.Net connection string, you can set the application name to something more meaningful than “.Net SqlClient Data Provider”. Most developers store the connection string in an app.config or web.config file, so generally speaking this is a simple configuration change. "Integrated Security = true;server=localhost\\sql2012; Application Name=MyDotNetApplication"
This is something simple that your developers are likely unaware of that can help when diagnosing database issues. < Previous Are .Net TransactionScope Objects Creating Serializable Transactions In Your Database? Next > Do you have locks being caused by unindexed foreign keys?